Hello and Welcome to an A1Savannahs. Our cattery is USDA Licensed and a Preferred Breeder Registered with The International Cat Association (TICA). We are Cat Kingpin Certified and are members of the Feline Conservation Federation. If you are looking for a Savannah Kitten, then you have come to the right place. A1Savannahs has been breeding the finest Savannah Kittens since the beginning. A1Savannahs, formerly New Horizon Bengals, was founded by Joyce Sroufe. Joyce started breeding Savannah Cats in the late 1980's and started to register her first litters in 1994. She is also well known among exotic cat owners and breeders as the original founder of the Savannah Cat Breed and an expert in the breeding and care of exotic cats. A1 Savannahs is now owned by Martin and Amanda Engster. 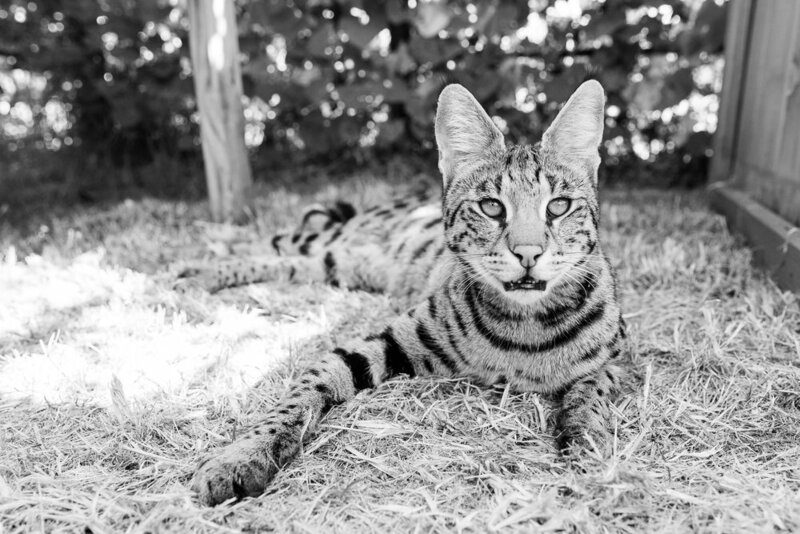 Often imitated, we are the original founder of the Savannah Cat breed, and have many years of combined knowledge and experience. Savannah cats are special. They’re beautiful, high-energy, intelligent, and retain many of their wild instincts. 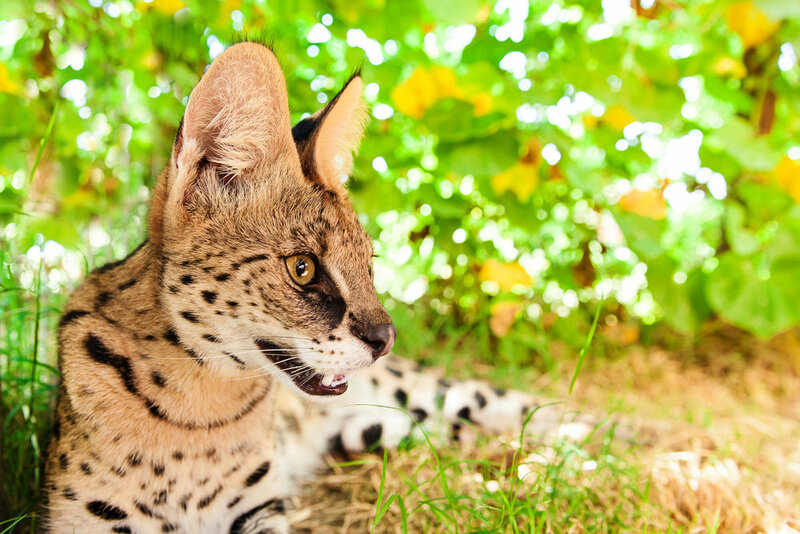 The basics of owning a Savannah cat are similar to that of any other cat. You’ll need to feed your cat, ensure it has access to water, provide it with plenty of socialization, and form a relationship with a veterinarian you trust. This alone won’t be enough to give your Savannah cat the best possible life. These unique cats require a lot of their owners. But with this great investment of time comes a immense payoff. Savannah cats are brilliant family companions who will provide you with many years of love, entertainment, and play. 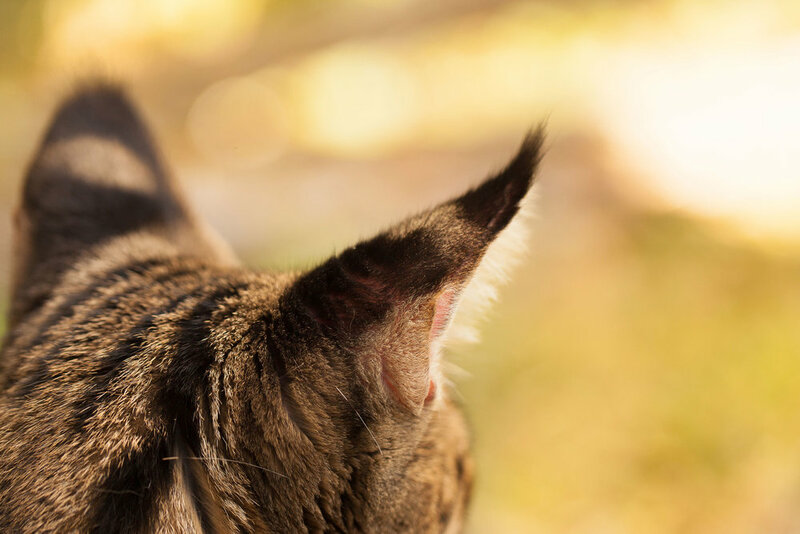 Here’s how to give your Savannah cat a wonderful life. Understanding your cat begins with understanding its filial generation. The lower the generation number, the more wild blood your cat has. Jumping and leaping. Your cat may also try to play with you by ambushing you. Very high energy. These cats need lots of exercise. If they don’t get it, they may become destructive or anxious. The need for consistency and strong boundaries. Don’t bend the rules for your cat. Enforce clear rules. Savannah cats thrive when they know what’s expected of them. When the rules are inconsistent, they can become anxious. They may also break the rules. So if your cat isn’t allowed on the counter today, don’t allow it to jump on the counter tomorrow. Suspicion in new situations. Savannah cats that are genetically similar to their wild relatives are suspicious of new people and places. Without proper socialization, they may be afraid of people. Later generation Savannahs behave more like domestic cats, but retain some of their wild instincts. Be prepared for a high-energy, intelligent cat who wants to play. Unlike some other domestic cats, Savannah cats do not have any known genetic health issues. This means you can expect your cat to lead a long and healthy life. However, no cat is immune to illness. Your cat will need routine immunizations, regular oral health screenings, and annual check-ups. If your cat gets sick, you must have a relationship with a veterinarian you trust. When choosing a veterinarian, consider asking if the doctor has experience with Savannah cats. Doctors who have worked with these cats before understand their unique needs, and may be better equipped to help your cat feel safe and secure during check-ups. Early socialization will determine much about your cat’s personality. The more wild blood the cat has, the more important it is for you to socialize your cat as a kitten. Without early exposure to many people, animals, and experiences, your cat may become skittish. There’s no such thing as too much socialization. Consider taking your cat to as many places as you can in the first weeks after it joins your family. Make each experience as positive as possible. New people, for example, can give your cat small treats. Only introduce your cat to friendly animals. Otherwise it could become fearful or aggressive. Training is equally important. Savannah cats respond well to positive training, a dominance hierarchy, and clear boundaries. They respond very poorly to punishment and to inconsistent rules. Decide on the rules early, and reward your cat for following them. Savannah cats are highly intelligent. If their minds aren’t occupied, they’ll create their own activities—destroying the curtains, ambushing the family dog, or bringing in dead birds. Your cat will benefit from learning new words and commands, from spending time with you, and from lots of exercise. Savannah cats thrive in active, loving homes. In homes where they don’t get enough attention, exercise, or intellectual stimulation, they can become anxious, destructive, or even aggressive. Cats are obligate carnivores who need high-protein cat food. Generic supermarket brands are often full of unhealthy fillers such as corn and grain. Your veterinarian or breeder can help you choose the right diet for your cat’s needs. Some owners choose to feed their cats a raw food diet similar to what they might eat in the wild. It’s important that the bones be uncooked, and that owners do their own research to ensure the diet is well-balanced. Place a large litter box on every floor of the house. Higher generation cats may need more encouragement to use the litter box, so begin litter training as soon as you bring your cat home. Create safe areas for your cat to climb and jump. Tall cat trees and scratching posts can make life more interesting for your feline friend. Cat-proof at least a few rooms in your home so that your cat has a safe place to be when you’re not around. Remove dangling wires and curtains. If there is tall furniture, secure it to the wall so your cat can’t knock it over. Make sure there are no toxic plants, open bottles, or other dangerous objects your cat can easily access. Create cat-friendly play areas in each room or area of the house. A few cat toys or a climbing post can deter your cat from clawing at curtains, scratching walls, and stealing things. Secure any caged animals. Cats tend to view birds, fish, and rodents as prey. Keep them separate. Even if your cat seems to like these animals, never trust them alone together. Create a safe hiding space in your house for your cat. Savannah cats need time alone, and a place where they can easily escape visitors, dogs, and loud noises. It can be an area under a bed, a crate, or a dark spot under your desk. Your cat may also choose its own safe space. Make sure your cat always has access to this space. If you need to close off various rooms of your house at different times, ensure there are several safe spaces where your cat can hide. Savannah cat ownership requires work. But like most other work, owning a Savannah cat is intensely rewarding. 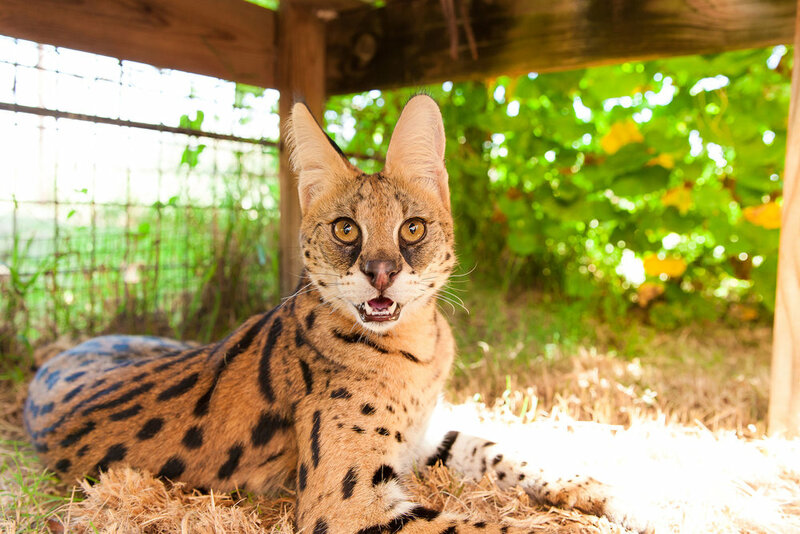 We’d love to help you choose the right Savannah cat for your needs. We can help you plan for a lifetime of friendship with a cat you love. Contact us today.